I offer a variety of related activities centred around content, social, and digital strategy, but they can all be grouped under one or more points of my 4-way approach to work: Discover and Decide; Create and Iterate; Launch, Learn, and Prosper; and Learn some more. I will always help you discover truths, insights, and questions about your audience, business, and the promises you make to the people that matter to your business. By understanding your key audiences, the actions your brand wants to cause, and specific needs or recognised opportunities — by listening to you — we can decide on and develop the best strategies that will advance your business. Together we’ll take our ideas and strategies to create compelling content and media resources that will help achieve your desired results in building brand awareness, launching your product, driving sales, nurturing leads, and forging partnerships and communities. We’ll iterate content development as part of our build-measure-learn process so we can be sure we’re creating the kind of content our audience really wants. Why launch-and-pray when you can LLAP — Launch, Learn, and Prosper! I’ll help you reach and engage better with your ideal audience; learn and validate as much as we can from their experiences with your brand, product, or content; and feed our learnings back into developing solutions for your audience. Learning should never stop and should also be super easy to start. Whether we work together in a project or not, I will strive to create nourishing resources on content and social strategy for digital transformation. Help yourself to bite-sized blog posts, second helpings of learning sessions, or a grand fiesta of workshops and courses. 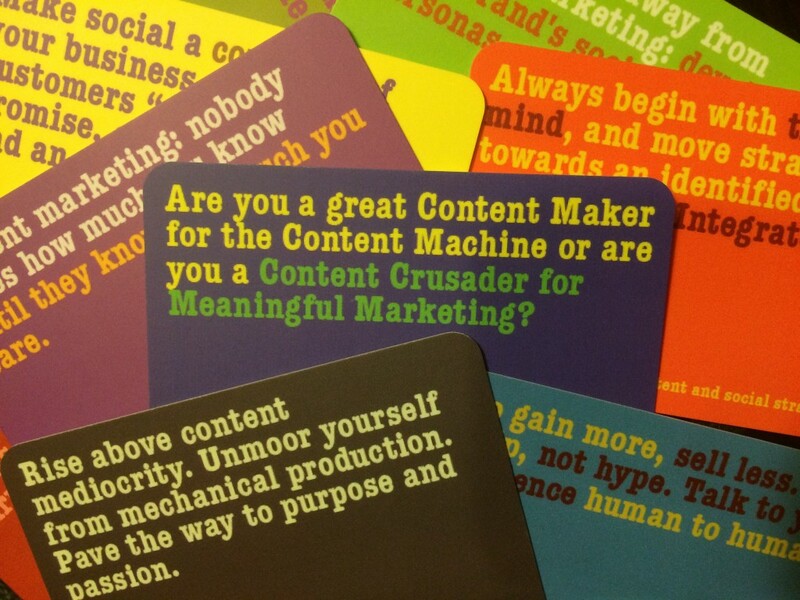 Feel the calling to be a Content Crusader? Here’s where you can start. I have grouped some of the services together to create programmes and packages that deliver the best value to you.